Who doesn’t love a deliciously lemon tangy pie on a lazy Sunday afternoon? I know I do. In a food process, blitz the biscuits till they resemble cookie crumbs. Drizzle in the melted margarine and pulse until the mixture starts coming together. Line a greased 20cm pie dish with the mixture, pop into the freezer while you make the filling. In your mixing bowl, mix the milk powder and salt. In another bowl, mix the water, coconut oil and salt together. Pour this into the milk powder mixture and mix until well combined. A batch of condensed milk. In your mixing bowl, mix the condensed milk, lemon juice, and lemon essence until the mixture starts to thicken. Pour the pie filling into the pie crust. Most pies that I have come across lately contain gelatine in and gelatine is a no go on my vegan ingredient list, so is agar-agar powder. Well mainly agar powder, because I still have to get the feel of working with the powder. 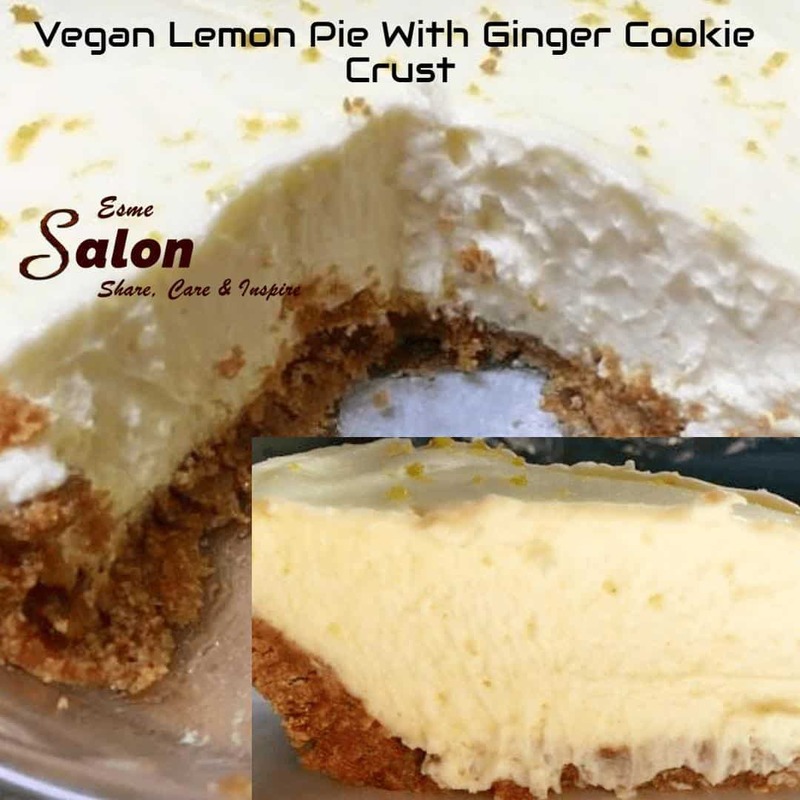 I was searching the “Loving it Vegan,” website when I came across a recipe for an easy lemon pie with a ginger biscuit crust. I love ginger biscuit crusts, they are so easy to make and there is always a packet of ginger biscuits hiding out in the cupboard for emergencies lol. Of course being me, I just read the word condense milk and I assumed I could use the store-bought one, but when Sunday came around and I got to prepping for the pie I discovered that I would have to make my own condensed milk as the recipe asked for a batch of the stuff and not a tin, how much is a batch? No getting around that option, but all in all, making vegan condensed milk from scratch is so easy and to tell you the truth it actually tastes better than the store-bought version. We have a wide variety of different Lemon Pie recipes for you, from vegan to regular.